1. When using any flea medication, always read and follow the directions on the label carefully. Never use a product that does not specifically state that it is safe for cats. Many medications used to control fleas for dogs are toxic for cats and can even kill them. Did you know that cats and dogs can´t share the same flea medication? 2. 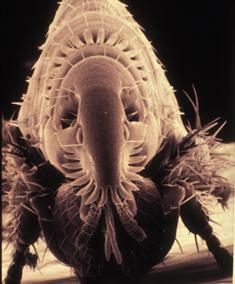 Fleas are small biting, jumping insects that live in the fur of many different animals. Cat and dog fleas are the most likely fleas to affect humans, though rats and raccoons nesting in a home can also carry fleas. While their bites can cause severe itching and skin infections, they can also spread diseases such as cat-scratch fever, typhus and plague to people. Did any of your pets ever get fleas? 3. An even more common human disease that requires fleas in order to be transmitted is cat scratch fever. This disease occurs when a scratch becomes contaminated with flea dirt. Flea dirt is what flea poop is commonly called. Cat scratch disease is a bacterial disease caused by Bartonella henselae. People with weak immune systems are at increased risk of getting seriously ill with cat scratch fever. Young cats and kittens are most likely to be the source of human infection and about 40% of cats carry these bacteria at some point in their lives. The infection, which rarely causes disease in cats, is transmitted between cats by fleas. Infected flea droppings on the cat's fur or claws are the source of human infections, which are spread from the cat to a person by a cat bite, scratch or lick. Have you or anyone you know ever been affected by cat scratch disease? 4. 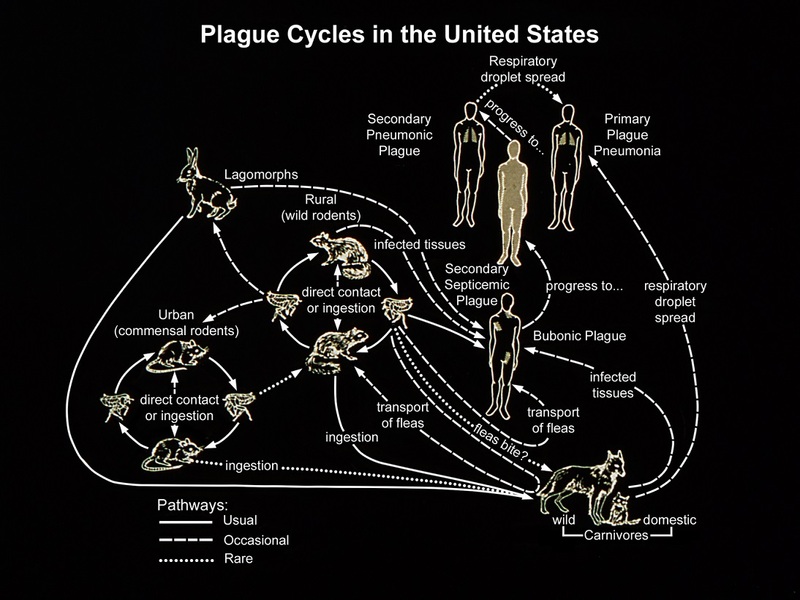 Plague is a serious infection of humans caused by bacteria called Yersinia pestis. It is usually caused by the bite of a flea that has fed on an infected wild animal, such as a rat, chipmunk or prairie dog. It usually causes large sores and abscesses in the glands of the arms and legs. Dogs and cats can also become infected and can spread the disease to their human companions. Even though, human cases are rare. 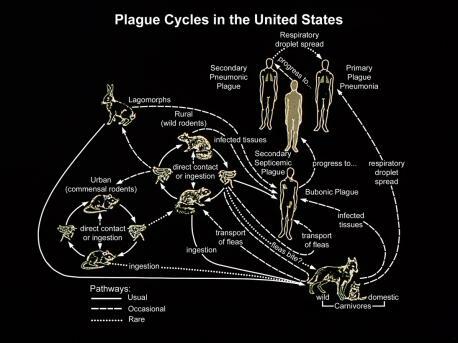 Plague is treatable with antibiotics. Did you hear about anyone getting this disease in your area? 5. 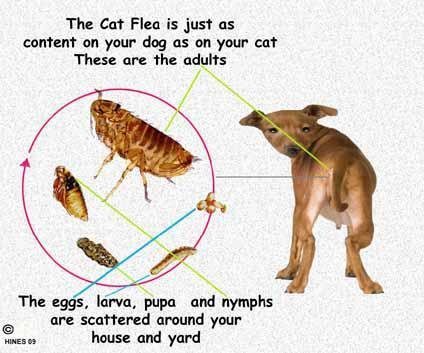 If that's not enough to convince you that flea control is important for your pet, then consider what fleas can do to your pet. 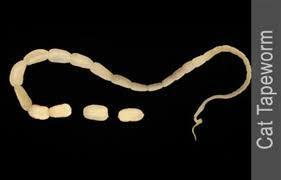 They can cause skin disease, pass tapeworms to your pet, and just generally make your pet feel miserable. Did your pet/s ever get parasites? 6. I thought you shouldn´t use flea medication if there were no fleas around. I was wrong. Don't wait until you see fleas on your pet to start your pet on flea prevention. Preventing an infestation is much easier and much more effective than trying to treat one that already exists. Ridding your home of an existing infestation can take months, regardless of the flea product you use. Do you use flea medication even when there are no fleas around?